Want a Career Change? Do This Before You Quit. More and more women I meet in their 30’s, 40’s and 50’s are ready to ditch their corporate career, and embrace a new way of living. We want freedom from the politics, games and exhaustion that have been our steady companions as we’ve climbed our ladders of success. Instead, we’re seeking a deeper level of fulfillment, and the freedom to choose our clients, projects and priorities based on our values, rather than someone else’s agenda. As the saying goes, we’re on a search for significance, and the most common way we seem to want to achieve it is by exploring life as a consultant, or as a leader in the non-profit community. Having taken that particular leap of faith multiple times, I understand the attraction. At 22 I entered corporate America. By 26, I had taken my first career leap into agency life, and then a year later started my first consulting company. That managed to feed me for about 15 months before I went back to an agency, and then just a few months later made another career leap to my first non-profit. I fell in love and stayed there six years. Then one day as I was gallivanting across the country trying to save lives, it hit me that someone else was raising my child. So I quit and started my second consulting company, along with an online retail business. I was 34 years old and having the time of my life, right up until I got married, had to take time off to care for my sick husband, and business waned. I had never worried about that before, but unfortunately it really stressed my husband. So after much bickering, I agreed to apply for a job, eventually securing a leadership position in another non-profit. I fell in love again, worked hard and rose through the ranks, parted ways with the husband, and after another six years finally decided my time there was done. That brings us to the consulting company I own now, which has been my most successful to date. I tell you all this so you can see that I have been there, and I understand. I know what it feels like to be so ready for a career change that you are desperate to break free. But at the same time you’re scared, perhaps not in the most supportive environment, and you don’t want to rush. That’s why this week’s blog is for you. Below are my tips on what to do before you quit your job, so you’re ready for the road ahead. Define and publish your personal brand. Knowing who you are, and what you stand for is one of the things you must be clear about when seeking new employment, or wooing potential clients. That’s why I encourage people to keep personal branding – the ongoing process of establishing a prescribed image or impression in the mind of others – top of mind. Most of us don’t think of ourselves as a brand but we are, and every interaction we have with others creates an impression. The question is, are you creating one that is to your benefit or detriment? Here’s a quick activity to give you a clue. Look across all your social mediums, making note of what you’ve posted in the last 30 days. Now ask yourself, would what I’ve posted give a favorable impression to a person who knows nothing else about me? Hmm…makes you stop and think doesn’t it? Remember, these days people see you before they meet you, and form impressions long before a formal introduction. Think twice before you speak, and three times before you post. It has more of an impact on your future than you might imagine. If you need to do some work in this area sign up to learn about our Career Success Empowerment System. Seek counsel from those who’ve been where you want to go. Pursuing a position at a non-profit without speaking to someone who is already working there is like buying a car without ever test driving it. You may like it or you may not, but do you really want to roll the dice with your career? I doubt it, not when you’ll be spending most of your waking hours there. 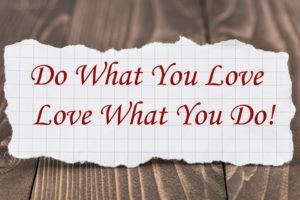 You want to do what you love, in a place you love, for a cause you deeply care about. I could write a whole blog on what it’s like to really work in a non-profit, but let me share just three things: (a) it is a real job, not semi-retirement. Non-profit employees often work 50-70 hours a week, including many weekends; (b) it is not like volunteering. When you work at a non-profit you are an employee with goals and performance expectations. If this is something you want to do when you feel like it, working there is not right for you; (c) non-profits include many of the same things you are trying to escape – politics, games and exhaustion. Sorry, but all of the human interaction drama found in for-profit entities exist there too. Mostly because people like us bring them with us. There are of course hundreds of wonderful things about working there too, most especially the joy of doing something that makes the world a better place. The key is to seek counsel before making the leap. Get a realistic view of what’s ahead, from someone a few paces further along the journey. It’ll give you a great sense of what it’s really like, and how your expertise can add to their success. Create your unique package. A young woman came to me for career advice a few years ago. She had graduated the year before and was struggling to find a job. I had never heard of her area of study, so I asked her what she was qualified to do. She said, well really anything. Umm…no baby you aren’t. No area of study qualifies you for everything, and being a generalist makes you a jack of all trades, master of none. Unfortunately, they don’t pay much for that these days, so we’re going to need to get specific. I chuckle when I think of our exchange, but I cringe a little when I hear people who’ve had 20 year careers tell me much the same thing. Because the reality is you really need to know what sets you apart, and what you’re better at than anybody else – based on your experience, education, and special mojo – when changing careers, or striking out on your own. Just for grins, see if you can do it. Describe your expertise in under sixty seconds, in a way that solves the problem of the potential people you want to serve. It’s a bit difficult, isn’t it? Here’s a hint most people overlook – all of your expertise doesn’t have to come from your employment. Assess the whole of you, and stop reading folks your resume as a way of introduction. You’ll tell a richer story, and find unique ways to set yourself apart. Give away your expertise. One of the best ways to establish credibility, and build your personal brand, is by giving away the knowledge you’ve accumulated. I did this a lot by speaking at small events, especially to recent college grads and young professionals. I was also in a position to be interviewed quite a bit by the media, further establishing myself as an expert in my field. However if neither of these are an option for you, here are two ideas anyone can do. First, be a regular contributor to an established blog. You don’t have to write every day or week, but a once a month contribution is a great way to stay relevant, and allow folks to get to know you on a personal level. Second, curate and share interesting content from your field. To be at the top of your game, you have to stay abreast of what’s happening in your industry. So since you’re reading current articles anyway, take the extra step and share them on social media, adding your own perspective. Being a repository of information makes you a great resource. Making a career leap doesn’t have to be an overwhelming experience. With a little courage, perseverance and preparation you can successfully transition into your next life adventure. The trick is to work on getting ready, while resisting the urge to rush. 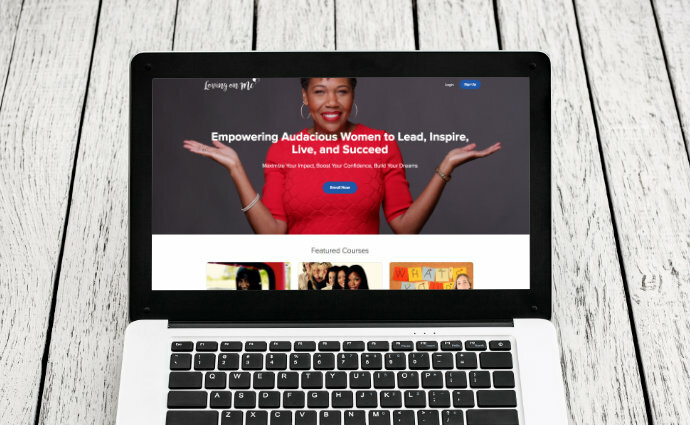 Our new Career Success Empowerment System can help you maximize your strengths, accelerate your career growth, and unlock the success you deserve! I believe you can do it! In fact, many of our readers already have great stories of success. If you’ve taken the big leap, please leave us a comment sharing the lessons you learned along the way. I can’t wait to hear from you! 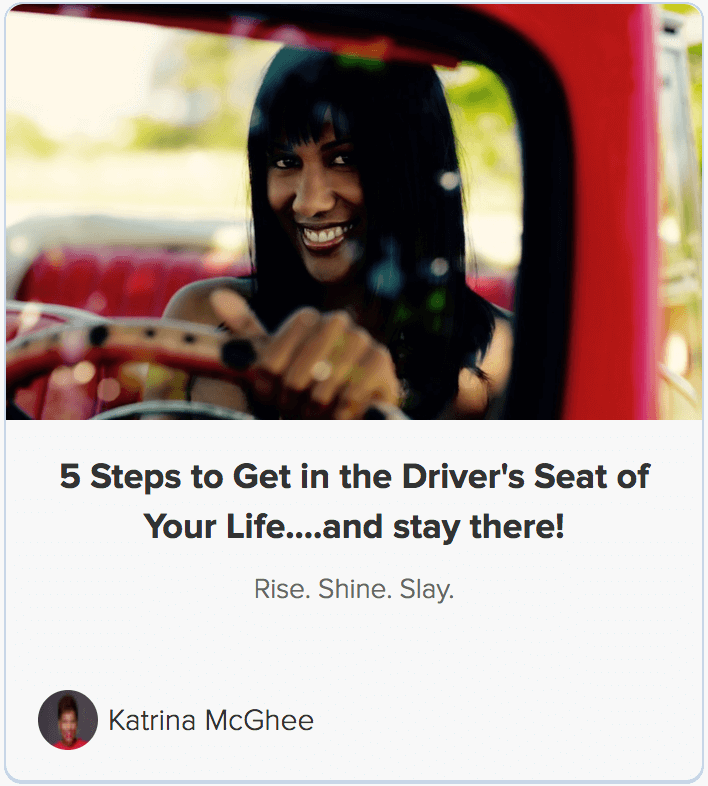 Katrina McGhee is an Author, Speaker and the CEO of Loving on Me. 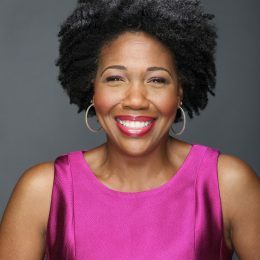 A passionate advocate for women’s health, leadership and empowerment, she's spent the last 20 years giving voice to our struggles and developing innovative solutions that lead to our success. Her latest book, Loving on Me! Lessons Learned on the Journey from Mess to Message, builds upon that passion by illuminating the path to access the more God has in store for our lives. 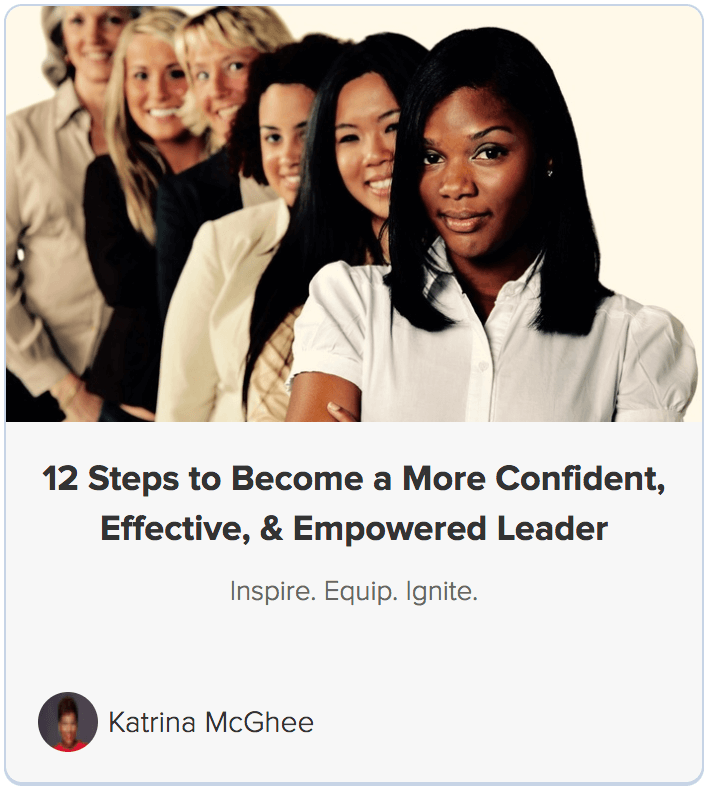 For more on her mission visit www.KatrinaMcGhee.com.